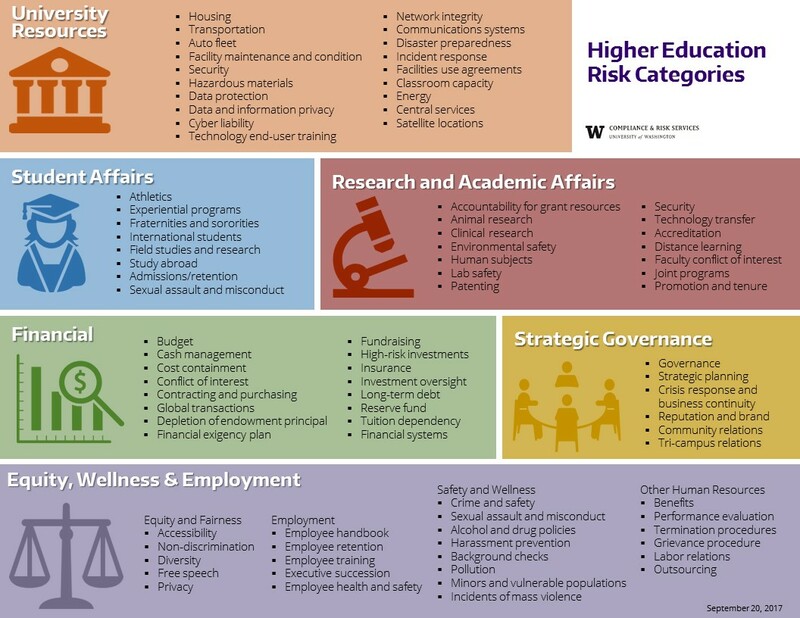 UW Compliance and Risk Services provides professional services and thought leadership in substantive and structural compliance, risk financing, risk consulting, and claim and litigation management to all University of Washington academic and administrative units. 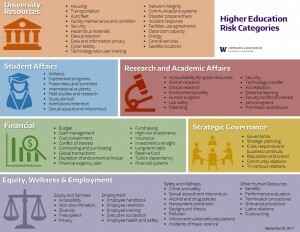 UW Risk Services organizes, coordinates, and implements programs to control risks for all University of Washington campuses and programs. Its services include: Risk Financing (Insurance and Self-insurance), Equipment Insurance, Risk Consulting, Claim Services, and Workers’ Compensation. Ongoing identification, assessment and mitigation of risks is managed across the areas of finance, facilities, human resources, healthcare, information, student affairs, academic affairs, research, and governance. Significant risks that are too broad or pervasive for an individual area to adequately address are identified, reviewed, and elevated to executive leadership and, as appropriate, the Board of Regents.